Want your special day to be the wedding of the year? 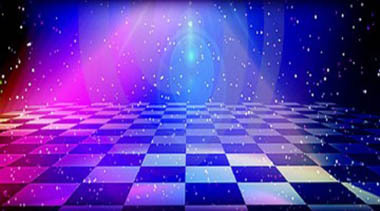 HD-DJ provide the best Sussex wedding DJ and disco services in East Sussex, West Sussex, Surrey and London. 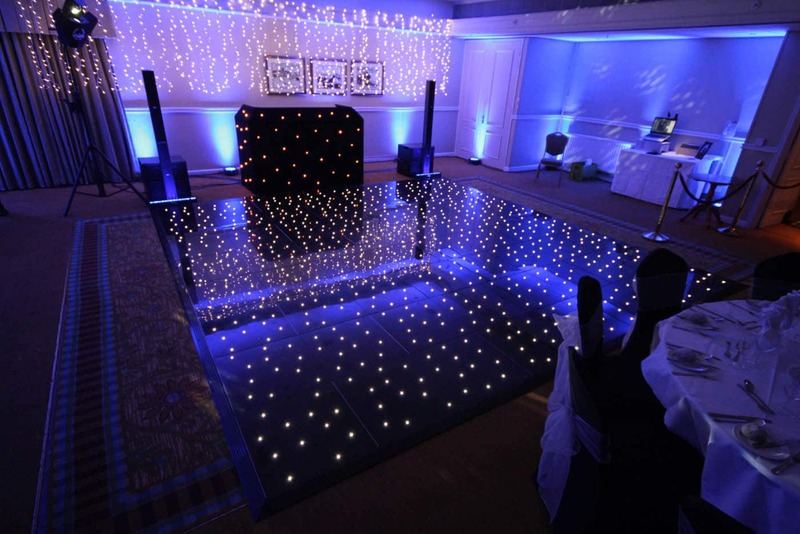 However we also provide our best Sussex wedding DJ and London Corporate DJ specialist all over the world. 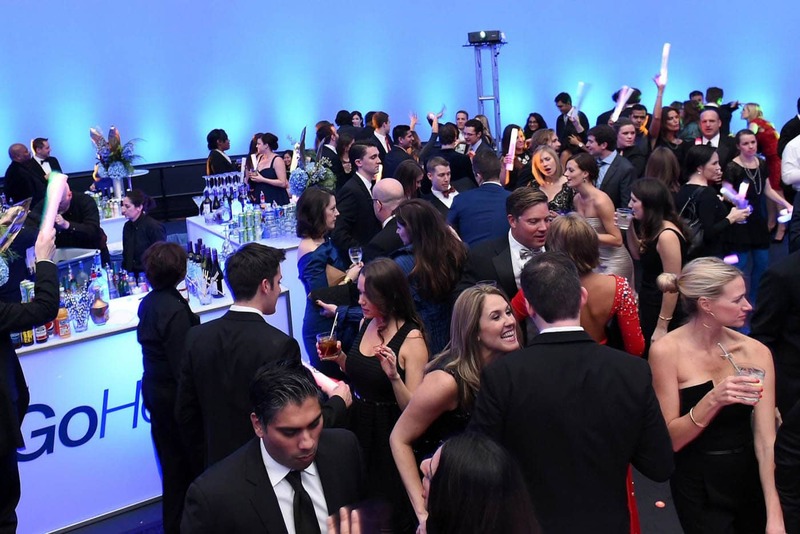 Our DJs are more than willing to get up close and personal with you and your guests to help you create the best party you could possibly have that you will remember for years to come. Alternatively if you and your guests are more reserved, our DJs will act very discreetly in the background playing the music you want for the ultimate party, whether it be your wedding, private party or corporate event. The experience we have in providing wedding DJ hire and disco services is second to none. 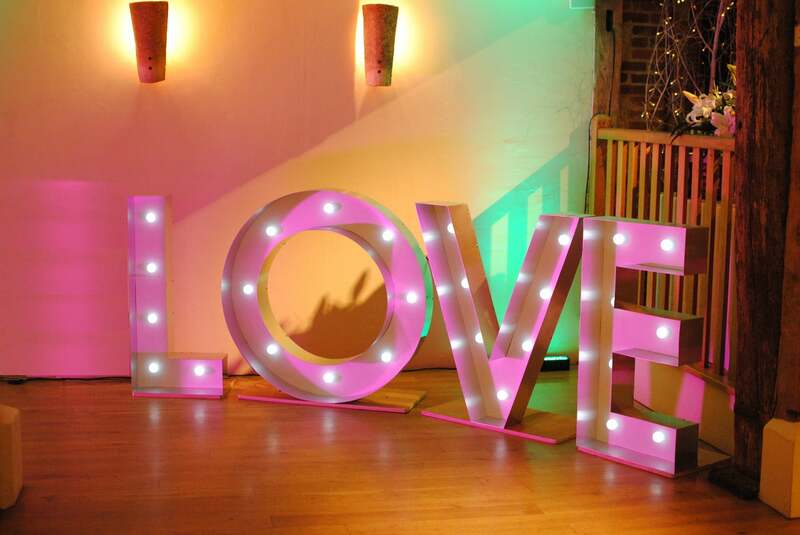 First and foremost we only supply the UK’s best DJs, we understand that your wedding day is all about you. You want all your guests to have a fun day and evening; you want your party to be different from all others; you want your special event to be regarded as the best wedding of the year! One of the most important days of your life, you only have one opportunity to get it right, so you need to put your trust in the best, someone who knows exactly what they are doing. 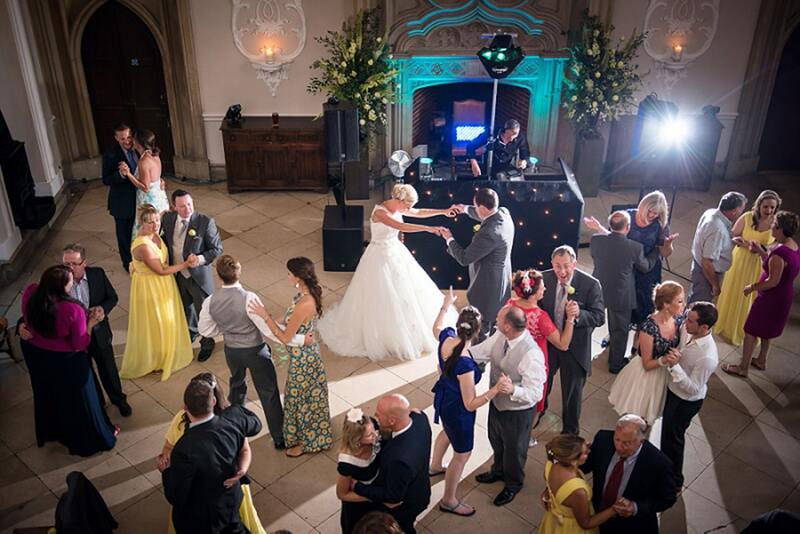 HD-DJ are expert Sussex wedding DJs and party event specialists and we have a wealth of experience. we can give you valuable advice and guidance in the planning of your wedding. If you allow us we can help deliver your perfect wedding. HD-DJ provide DJ hire and Mobile Discos within most clients Budgets, so while having Jeremy from HD-DJ for your wedding might not be possible due to a limited entertainment budget we will provide an alternative Sussex wedding DJ who will do a great job. “Amazing DJ” Thank you so much Jeremy for being our DJ at our wedding on Friday 30th September 2016, you were amazing! I will recommend you to anyone who needs a DJ for an event! Everyone was dancing, the dance floor was always packed and the music was just spot on! So many people commented on the variety of music and how professional the DJ set & lighting looked… A real compliment to our wedding day! “I just wanted to email you and let you know what a great DJ Jeremy is. I really enjoyed working with him last night. He was so professional throughout, nothing was an issue and he really knows how to work a crowd. The music he played was so apt for our Best of British theme and he kept the dance floor alive. No one wanted to leave! Please pass on my sincere thanks to him – he was a great pleasure to work with. “Brilliant DJ!” Thank you so much for everything you did at our wedding! The music was a great mix and you did everything we wanted – everyone had a great time and got up dancing. Will definitely recommend you! “Amazing party!” I just wanted to drop you a quick email to say thank you for DJing our party last night. As you could tell when nobody wanted to leave, we all had a great time (no complaints either). Have a lovely weekend. Almost 100% of uk couples say they would have spent more of their budget on the wedding entertainment! Within one week after their reception, 78% of uk Brides say they would have made the wedding entertainment their highest priority! 72% of all uk brides say they would have spent more time choosing their wedding reception entertainment. During wedding planning, Brides say their highest priority is their wedding dress, attire, followed by the reception site and caterer – reception entertainment is among the least of their priorities! 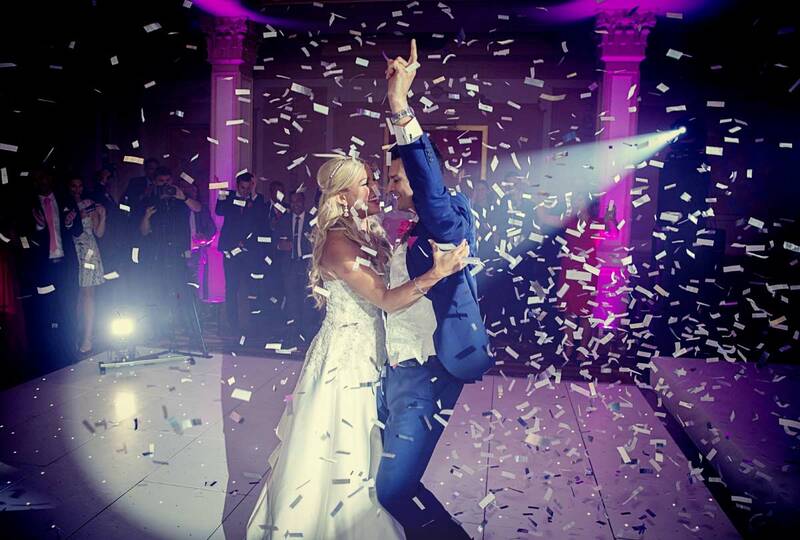 65% of all couples that chose a band to entertain at their wedding reception, said, if they had it to do over again, they would have chosen an expert Sussex wedding DJ. The most important part of your wedding day! It is absolutely essential that the correct music is chosen, played at the right time and at the perfect volume. Are you thinking about entrusting someone you know to do it? What if the wrong music is played? Or it’s too loud! Or not on time. You cannot turn back time, why risk your precious moment! HD-DJ can help you with this. 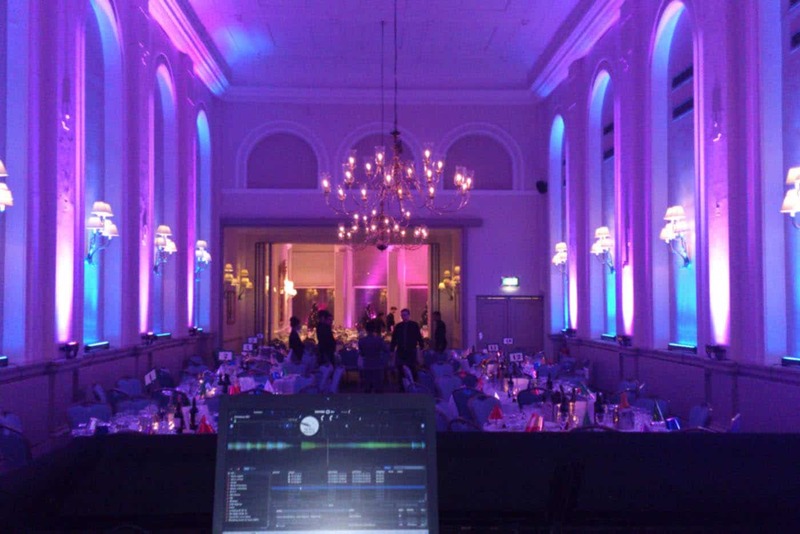 Our Sussex wedding DJs have supplied the music for countless wedding ceremonies in East Sussex, West Sussex, Surrey and London using our transparent audio systems, we take care of everything for you. We provide the music as guests arrive, as you walk down the aisle, the signing of the register and as you walk up the aisle as a happily married couple. 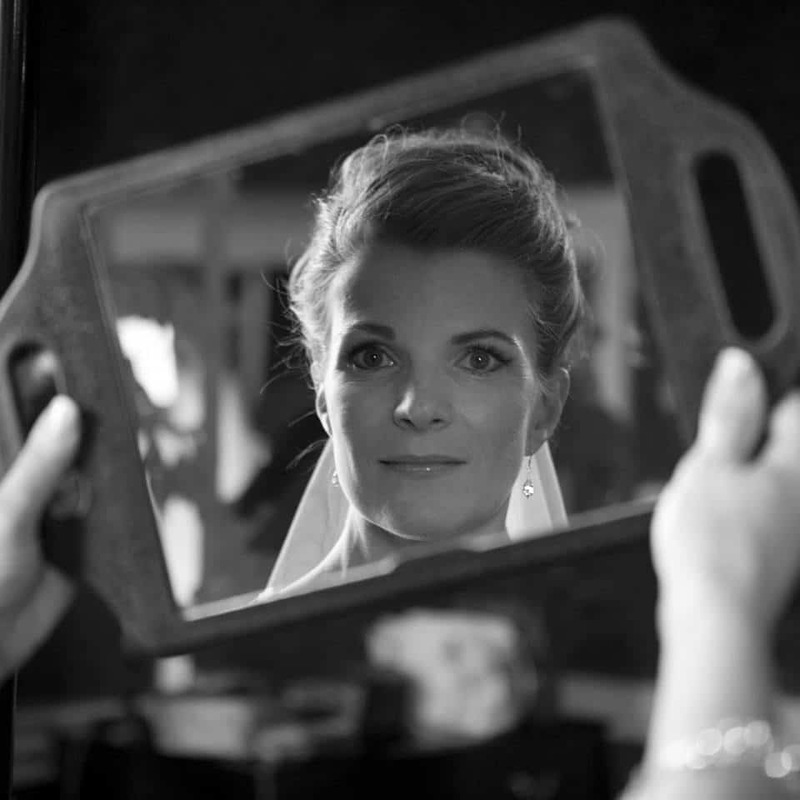 We will work closely with the registrar and photographer to make sure everything we do is perfect for you! The grand entrance. If you don’t feel special enough already on your great day you might like for us to introduce you, your parents or other important people into the room along with a song that’s unique to you. After any introductions soft background music can be played during your wedding breakfast which will really help create a nice ambience. If you would like to make you own personalised playlist on your ipod or similar device our wedding DJ will be able to play this on our transparent audio system or through our disco equipment if you have booked us to set up earlier in the day. Wireless microphones can be supplied for the wedding speeches and any announcements to be made by a toastmaster or MC, with HD-DJ on hand you know the volume will be absolutely perfect! More often than not the bride and groom know exactly what song they will have for the first dance at their wedding, but if you are a little confused as to what would be perfect for your wedding, our wedding DJs have a wealth of knowledge and experience that we can share with you that will make your opening dance perfect! Would you like to make your opening dance extra special ? If the answer is yes, then our dancing in the clouds service is a must have. You will not regret it, especially when you look back on the photos and video from your unforgettable wedding day. You don’t have to stop there, you can take it to the next level and beyond, by adding pyrotechnics and confetti cannons to create backdrop for your first dance that is truly out of this world. Just imagine how incredible your photos and video will look. Sounds amazing doesn’t it! If you book this, then you will want to capture these special memories in photos and on film. 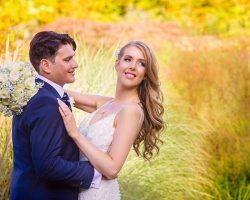 Our DJs now provide event photography and video service which is perfect to capture a number of spotlight moments from your wedding, as our visual perspective is unique and offers something a little bit different. We only provide this service in addition to booking one of our wedding DJ packages. You already have so much to do with the planning of your wedding, so why spend hours choosing the music? Leave it to us. While we will not take total control of all the music unless requested, your likes and dislikes will be honoured and we encourage you to create your ultimate top 20+ party playlist that we will use on the night along with our own experience of what creates the perfect party for you and your guests. We will also take guest requests on the night if permitted by the bride and groom. With over 40,000 tracks in our library you can be sure HD-DJ will give you a night to remember for all the right reasons! HD-DJ expert Sussex wedding DJ’s are based in the Brighton area, we provide DJ hire for weddings and corporate events in East Sussex, West Sussex, Surrey and London and across the UK. If you are looking for the perfect venue for your wedding in Sussex or London, then contact us for a list of venues where we have provided our wedding DJ hire services at in recent times. HD-DJ also provide our expert wedding DJ hire and corporate DJ hire for location weddings and corporate events around the world in recent times we have provided our DJ services at events in Cork , Rome, Oslo, Salzburg, Valencia and Paris. Planning on having your wedding in another country? Contact us for information about destination weddings abroad. The cost really depends on your exact requirements ? I will not just provide you with a quote pulled out of thin air, there are many factors involved! I will ask you for all the information needed by myself to give you the total cost. HD-DJ understand that some clients will have a very tight budget and will have to cut corners, while many of you will want to do things the right way and will therefore pay a much higher price to hire the UK’s finest wedding DJ’s, so therefore you will receive two quotes from HD-DJ for your special wedding day. 1st. 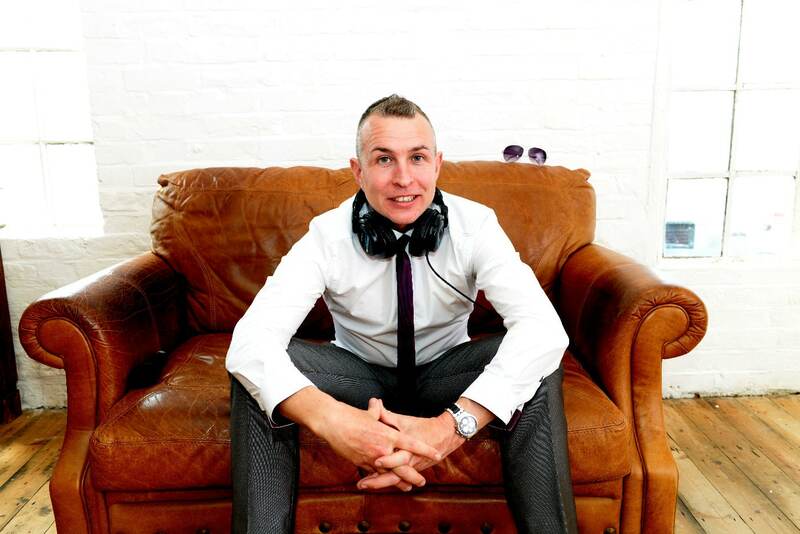 Hiring Sussex wedding DJ Jeremy to provide his exclusive service for your wedding day. 2nd. HD-DJ will provide one of our other DJs that will provide you with good standard of service. OK, So you have recently got engaged and plan on getting married sometime in the near future. 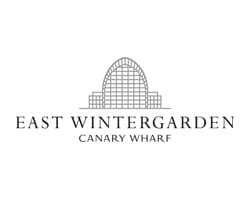 It does not matter if you are from East Sussex, West Sussex or London, the following information should still be taken very seriously, If you want your wedding day to be one to be remembered for all the right reasons. Most couples planning a wedding have more than likely never planned one before, so should listen to advice from those who know the best. When it comes to wedding entertainment, what most of you don’t know is that saving money by hiring a cheap DJ for your wedding will actually come with a very high price tag! There is a well known saying “Buy cheap pay twice” that comes to mind the only problem being you can only do your very special wedding day once, there are no second chances! So before you make a big mistake, here are some things you must know. 1. There’s a high possibility that a cheap sussex wedding DJ will not be in business when your wedding day finally arrives. 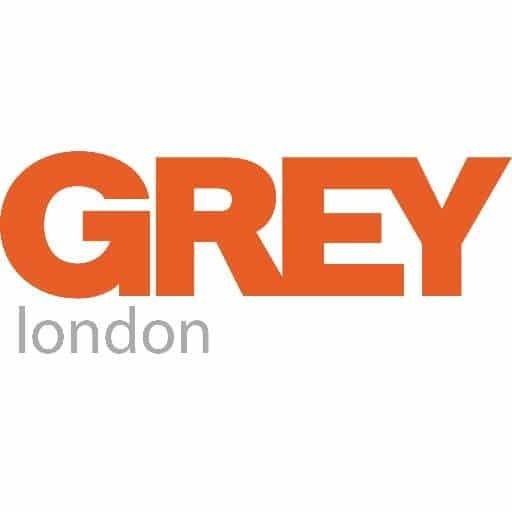 Most cheap DJs in Sussex, London and across the UK are not charging anywhere near enough to support their business long term; ultimately you are just financing a hobby of theirs. In the meantime, your wedding anywhere between 6-18 months away or more. We have received those phone calls from very desperate couples who had a cheap DJ cancel on them last minute. It’s not what your really need on your wedding day is it. Do you want to risk the possibility that the cheap Sussex DJ is bankrupt and out of business before your big day? The phrase “Buy cheap pay twice” is very appropriate as many wedding couples have lost money by paying cheap, only to have to book another DJ last minute to save the day. Amateur DJ’s generally do it “for fun,” and a bit of extra spending money, more than likely tax free, They will normally play the music they love, which may not be the music that you and your guests want to hear? When something goes wrong, it’s no big deal to them. Professional Wedding DJ’s, on the other hand, risk their reputation and livelihood with every performance, that is why we DJ every Wedding like it’s our last! One bad review can do a lot of harm to our business and we know it, besides that we want you to have the most amazing wedding ever! Ask yourself? Would you rather have the uks best wedding DJs who are 100% focused on their business and your wedding day than someone that does it as a hobby? 3. Your wedding is a unique event that requires only the best wedding DJ money can buy, skilled and experienced, to ensure a smooth, flawless ceremony and reception. There is so much more involved than just playing music. Your Sussex wedding DJ is responsible for coordinating timelines, working alongside your other vendors, managing your guests, reading the crowd correctly and making sure the right music is played at just the right time and at the right volume. A DJ who is experienced in bars and night clubs will be at a loss because the atmosphere you get at night club is a million miles away from that of a wedding. The vibe or atmosphere you experience in a night club generally stays the same all night! The music the DJ will play will be very similar in its sound and vibe, also the people that go to a night club go to dance and they know the music will be loud, the lighting will be quite dim and the music the DJ plays will be the reason they decided to go there. This is so far removed from a typical Sussex wedding, to be a professional wedding DJ requires a completely different skill set, but saying that most expert wedding DJ’s are still more than capable of beat matching and mixing on their DJ decks. Another point to remember about an expert wedding DJ’s skill set, is that they perform and change music direction on the fly, this is worlds appart from most night club DJs that generally know all the music they will be playing and pretty much the order it will be played in! One inexperienced DJ mistakenly played quite a well known song that had been specifically requested as a DO NOT PLAY! But unfortunately because he forgot to update his notes it got played as a guest request and bride started crying because her Grandma had passed away a few weeks earlier. Are you really willing to risk the outcome of your special wedding day with someone who doesn’t “DJ” weddings for a living? 4. Your guests will not get up and dance without an experienced Sussex wedding DJ who can read the crowd and keep the party going. The right music needs to be played at the right time and in the right order to keep your guests dancing. 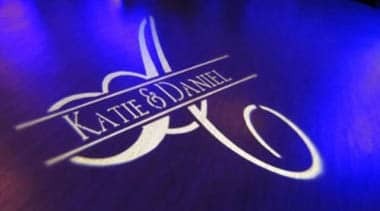 At times , the mood will change, and your wedding DJ needs to change the direction of the music to keep the vibe right. Only an expert wedding DJ will only be able to pre-empt this and take action right away, if people start to leave the dance floor, then others will follow and before long you will have an empty dance floor and it will make it harder to get them all back on the dance floor! An expert wedding DJ will not allow this to happen! If your wedding DJ can’t mix smoothly from one song to the next , you will have moments of “dead air” or awkward beats that will frustrate your guests and more than likely they will clear the floor and head to the bar for drink! If the bar is outside the room, then you run the risk of losing those guests for the rest of the evening party, even the worlds best wedding DJ’s sometimes struggle when the bar is located outside the room. Most bride & grooms have the idea, that providing an amateur with a song list of music they love will be enough to make a fun wedding. It’s definitely not! You need a DJ with the experience to work with your song requests and what your guests are responding to, so as to avoid an empty dance floor. One bride regrets hiring her DJ because he played “Uptown funk” three times during the wedding because he didn’t know of any other funky modern tunes! Are you really going to sacrifice the fun at your wedding by booking a cheaper DJ to save some money? 5. The MC (the DJ on the microphone) can have a big impact on the atmosphere at your party, for better or worse. An arrogant DJ with a harsh voice will not translate to your guests very well and will more than likely dampen the mood of the party. Professional DJs invest in vocal training and practice to optimize their performance. It is not uncommon to hear of DJ’s that have done weddings and have embarrassed guests by making inappropriate comments over the microphone and generally talking too much. Do you just want anyone to be your wedding host or would you prefer a professional speaker you can trust with your special once in a lifetime event? 6. Special events may not happen at your wedding if you don’t hire an expert wedding DJ who is experienced in controlling the flow of events. Who is going to direct your bridal party and guests at the wedding ceremony? Who will line the bridal party up for introductions? Who is making sure the toasts, special dances and dedications go without a hitch? Having the world best equipment and knowing how to push play will not guarantee a successful wedding, It’s the people skills you need for a fun, smooth reception. 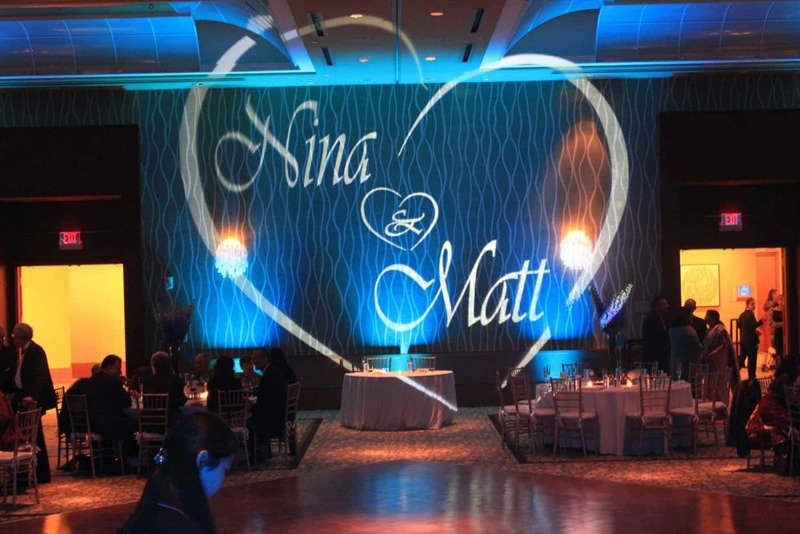 In most cases, your wedding DJ is the one who will make sure your special events are executed as you’ve requested. One very cheap and inexperienced DJ forgot the couple’s First Dance song; it was close! lol but not close enough! the title of song was correct, but the artist was wrong! The very unhappy bride and groom got Bruno Marrs – Just the way you are instead of Billy Joel – Just the way you are! a huge difference!!! that did not go unnoticed. Are you really going to leave your once in a lifetime wedding event and spotlight moments to chance or would you rather guarantee that everything is done according to your plans? 7. Amateur DJ’s do not have the skill and experience to include your requests in a way that express your personality while keeping people dancing all night. You won’t make your guests dance to songs you like if they don’t feel the same way. Your DJ needs to be able to read your guests like a good book and have the experience to build his DJ sets around your musical preferences, believe it or not this is normally done on the fly! Any amateur DJ can play the songs you request, but they lack the experience needed to make it work. Would you like your wedding guests to remain on the dance floor all night or is it acceptable to have lengthy periods of time with no one dancing? 8. Cheap and Amateur DJ’s normally have inadequate or no backup equipment, meaning if something fails you will have no music at your wedding. A backup music system at your wedding venue is essential, making sure you have music at your wedding no matter what. Many cheap and amateur DJs will not have a backup plan if a speaker blows, DJ mixer catches fire or a laptop dies. We were approached during an event where we were performing by a so called wedding DJ in the next room who asked if he could “borrow some audio cables for his DJ decks” because his were broken. As for the amount of times we have come across very very bad sounding music systems that other DJ’s have been using, well its shocking and embarrassing! Are you really going to take a chance without a backup music system on your special wedding day? 9. Cheap and Amateur DJs who charge less invest less into their equipment, meaning you will have an inferior sound and unreliable performance at your wedding. If you actually want your guests to hear the wedding vows at your ceremony, you will need professional sound equipment and a qualified technician to ensure this happens. One wedding DJ showed up at a wedding venue for the first time without speakers or mixer because he was told that he could, “use the venue’s sound system” but he did not call ahead to verify, so nothing was arranged and it was too complicated for him to work out! sound systems can be very simple but they can also be incredibly complex as was the case in this instance! Are sound issues like sudden jumps in music volume or audio that is impossible to understand acceptable on your wedding day? If your not planing to have formal events on your wedding day, and you would like a cocktail party more than a dance party, it might make sense to save money by hiring a non-professional wedding DJ. But if you’re investing thousands of pounds on creating your perfect day, please don’t jeopardize it by hiring people that don’t know what they’re doing. 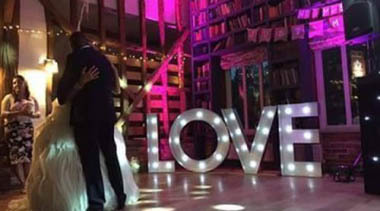 an expert Sussex wedding DJ who gets it right.